London’s Picadilly Circus came alive last week when its iconic Coca Cola and McDonalds signs burst into life with the appearance of a new animated rainforest frog. 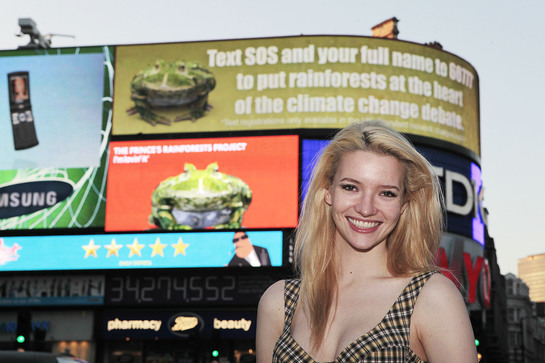 St Trinian’s star Talulah Riley was on hand to launch the new initiative, which is part of an ongoing campaign for the Prince's Rainforests Project. The McDonald’s sign gives members of the public the chance to interact with the breathing frog, allowing them to be photographed in front of the screens with the frog seemingly on their hand, head or shoulder, in keeping with the PRP campaign video. The animated frog was first seen earlier this year in a video featuring Harrison Ford, Prince William and Prince Harry, Robin Williams, Daniel Craig, Kermit The Frog, Joss Stone, footballer Pelé and the Dalai Lama that promoted the protection of rainforests. 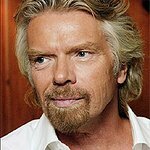 This was followed by another video featuring Richard Branson and other business leaders. The PRP’s ‘Prince and the Frog’ campaign was launched in May to build a community of support to put rainforests at the heart of the climate change debate. In a move which signals the support of these two global brands to The Prince of Wales’ project, the new signs will be live from now until the end of the year. Launching the new signs serves to remind all visitors to London of the important role rainforests play globally in keeping our planet cool, and delivers a message asking people to sign up in support of the project. Through this, The Prince’s Rainforests Project hopes to gather more sign ups and public support for its call for emergency action for the forests to be agreed before the end of this year.